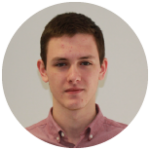 My name is Denis Denkovski and I’m doing a level 3 apprenticeship as a Data Support Analyst at City College Peterborough. After doing my level 2 apprenticeship, on my previous job I wasn’t feeling I was doing much. I’ve always wanted to develop myself and keep going forward so I started looking for another apprenticeship. The great thing about apprenticeships is the opportunity to pursue a career in the industry you wish to work in. I started working at City College Peterborough about a month ago and for now I find it exciting. I enjoy working in a friendly and relaxed environment. At the beginning, I thought that this is not going to be easy, but after some time, with proper training and guidance, I know what I am doing. I find apprenticeships an effective way of still being able to learn but also gain experience of working in an office environment. I have met my assessor and chose my units. Some units are not directly related to the job I am doing but I think it is still useful to learn and expand my knowledge.